Hi! 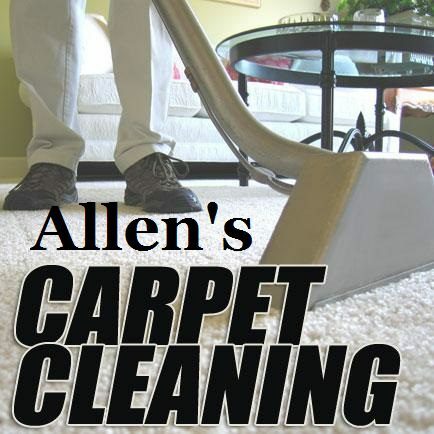 I’m Allen Blankenship, owner and operator of Allen’s Carpet Cleaning here in Huntsville, Alabama. I’m the oldest son of a retired navy man. My work ethics and attention to detail was ingrained early in my childhood thanks to my dad who always set me straight when I strayed. Tough Love…it works every time teaching youngsters to do things the right way. After having to redo what ever we failed at the first time till it was right we soon learned it would only save us play time if we focused a little harder. I’ve been servicing the Huntsville area for over 25 years now and have worked for many apartment complexes, restaurants, office centers, retail stores and many residential customers. All though not all stains can be removed my crew and I win most of the time on stains that others have left behind. We only use the best carpet and upholstery cleaning solutions, equipment and stain removal techniques in the industry. Give us a try today! We would love to have your business.